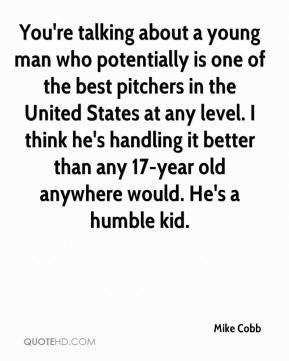 You're talking about a young man who potentially is one of the best pitchers in the United States at any level. I think he's handling it better than any 17-year old anywhere would. He's a humble kid. This year we've played some pretty big venues in places all over the United States. 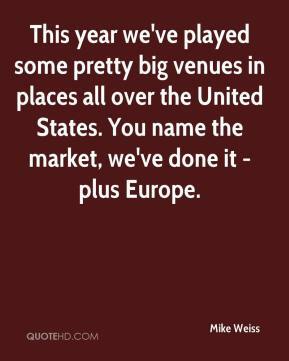 You name the market, we've done it - plus Europe. 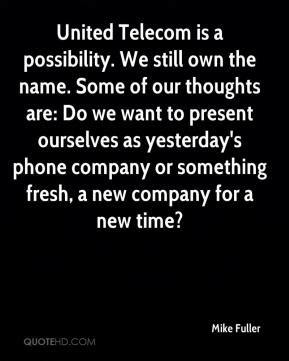 They say the bad guys we're fighting, the jihadists, represent a theocratic, fascistic movement. 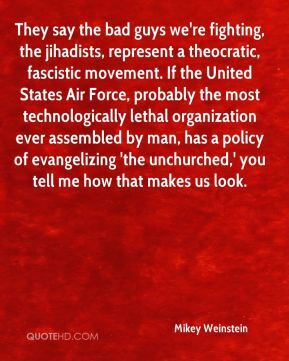 If the United States Air Force, probably the most technologically lethal organization ever assembled by man, has a policy of evangelizing 'the unchurched,' you tell me how that makes us look. 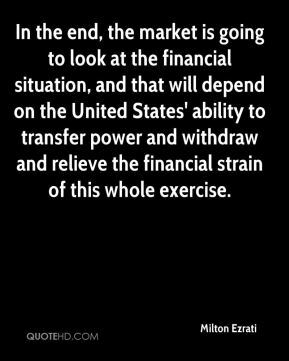 In the end, the market is going to look at the financial situation, and that will depend on the United States' ability to transfer power and withdraw and relieve the financial strain of this whole exercise. 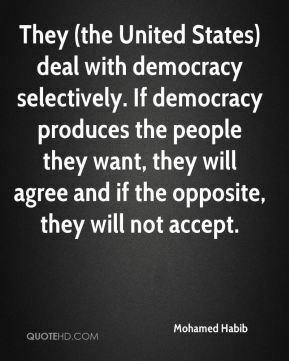 They (the United States) deal with democracy selectively. If democracy produces the people they want, they will agree and if the opposite, they will not accept. 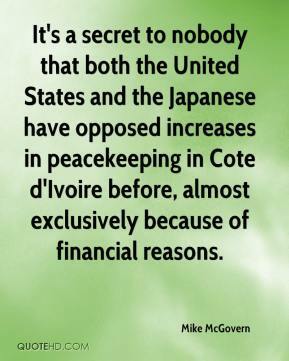 It's a secret to nobody that both the United States and the Japanese have opposed increases in peacekeeping in Cote d'Ivoire before, almost exclusively because of financial reasons. 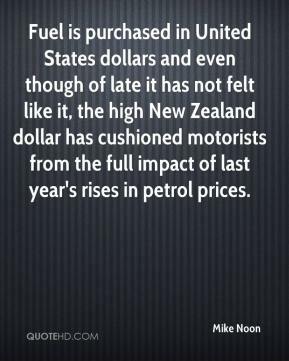 Fuel is purchased in United States dollars and even though of late it has not felt like it, the high New Zealand dollar has cushioned motorists from the full impact of last year's rises in petrol prices. My future is with Manchester United. I am not on the transfer list. 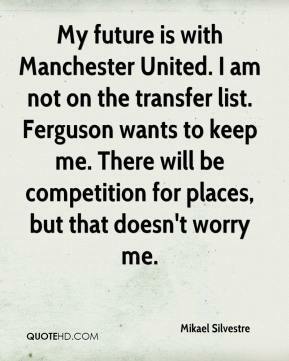 Ferguson wants to keep me. There will be competition for places, but that doesn't worry me. 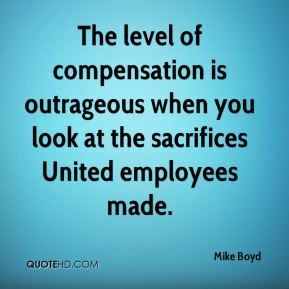 The level of compensation is outrageous when you look at the sacrifices United employees made. 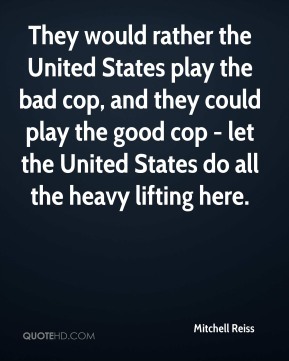 They would rather the United States play the bad cop, and they could play the good cop - let the United States do all the heavy lifting here. 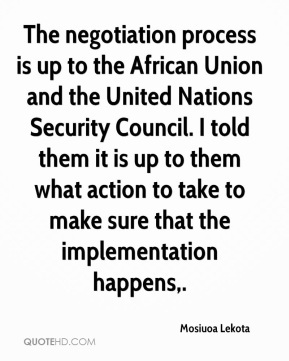 The negotiation process is up to the African Union and the United Nations Security Council. I told them it is up to them what action to take to make sure that the implementation happens. 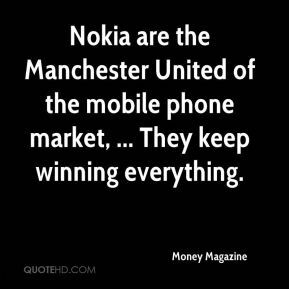 Nokia are the Manchester United of the mobile phone market, ... They keep winning everything. Of all of these, three seem promising. 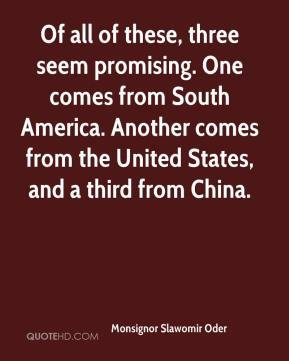 One comes from South America. Another comes from the United States, and a third from China. 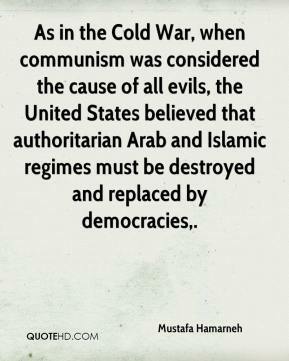 As in the Cold War, when communism was considered the cause of all evils, the United States believed that authoritarian Arab and Islamic regimes must be destroyed and replaced by democracies. 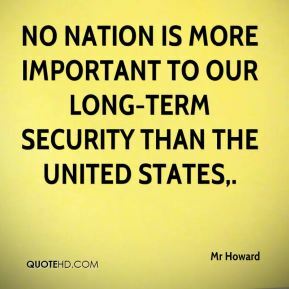 No nation is more important to our long-term security than the United States. 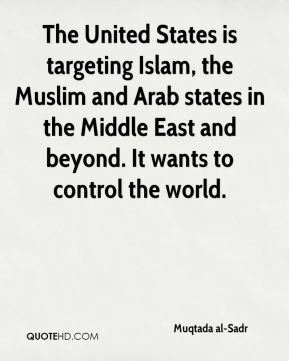 The United States is targeting Islam, the Muslim and Arab states in the Middle East and beyond. It wants to control the world. 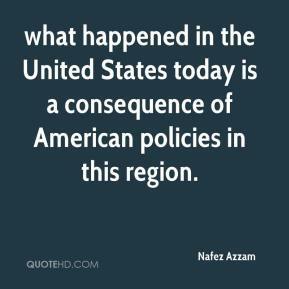 what happened in the United States today is a consequence of American policies in this region. 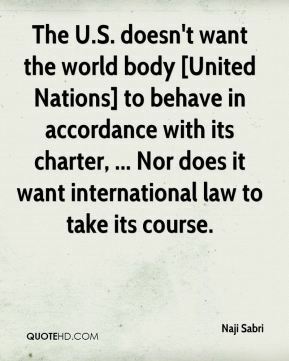 The U.S. doesn't want the world body [United Nations] to behave in accordance with its charter, ... Nor does it want international law to take its course. 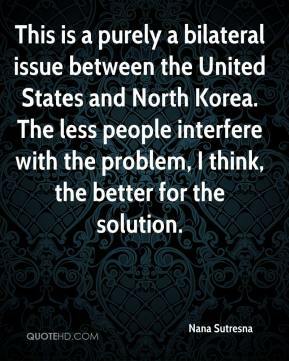 This is a purely a bilateral issue between the United States and North Korea. 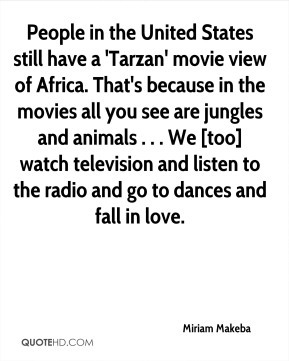 The less people interfere with the problem, I think, the better for the solution. 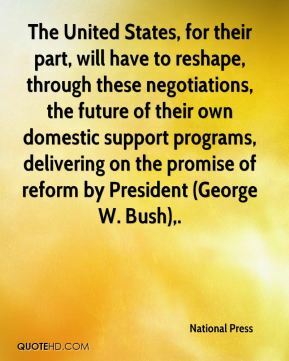 The United States, for their part, will have to reshape, through these negotiations, the future of their own domestic support programs, delivering on the promise of reform by President (George W. Bush). 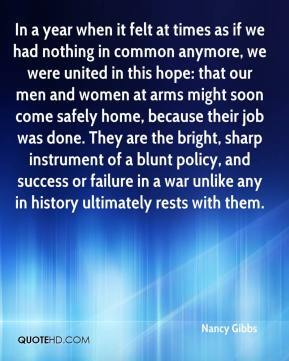 In a year when it felt at times as if we had nothing in common anymore, we were united in this hope: that our men and women at arms might soon come safely home, because their job was done. They are the bright, sharp instrument of a blunt policy, and success or failure in a war unlike any in history ultimately rests with them. 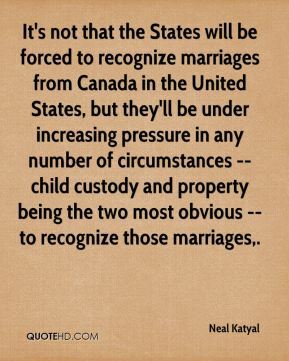 It's not that the States will be forced to recognize marriages from Canada in the United States, but they'll be under increasing pressure in any number of circumstances -- child custody and property being the two most obvious -- to recognize those marriages. 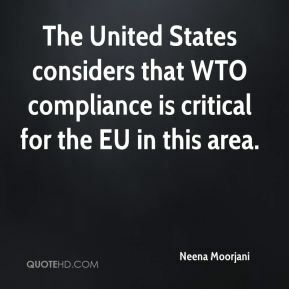 The United States considers that WTO compliance is critical for the EU in this area.